As our South Florida community ages, it is wonderful to see new living options that allow seniors to stay in the area, yet shed the responsibilities and maintenance that comes with home ownership. If you look up in the skyline of Dadeland, there is a brand-new tower right in the middle. It reads: Allegro: Luxury Senior Living. In October, the building concept changed and new management took over. It is now an independent living community and they expect to open Spring 2019. Situated between Dadeland Mall and the busiest Publix in the entire chain, Allegro at Dadeland is quite convenient for senior shopping. With 16 different layouts ranging from 750 to 1757 square feet and 1-3 bedrooms, there are plenty of options among the 214 total units for nearly all family situations. Each luxury apartment is tastefully modern, ready for senior residents able to live independently. Allegro is a St. Louis, MO based company that has nearly 50 years of experience in ownership, operations, development and property management, specializing in senior living. 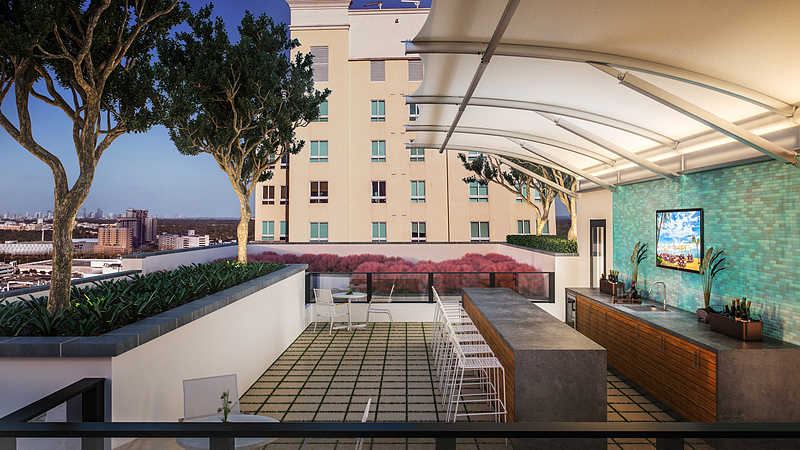 They have 23 communities across the country and 13 in Florida, yet Dadeland is Allegro’s first vertical asset. They are also excited to be in South Florida, with four communities either in place or about to open. Most interesting is there is no long-term commitment for Allegro at Dadeland. Residents rent month-to-month, with a $6000 reservation fee as the only special charge. After that, everything is included and you can leave with just 45 days’ notice. A full-time Lifestyle Director will be on-site to orchestrate a wide variety of activities to include wellness, interest groups, local cultural experiences, culinary classes, happy hours and other special events. “This is care-free living and one-stop shopping,” expressed Lead Senior Living Advisor Patricia Duran. In regards to food, besides the free continental breakfast, residents have dining dollars that will allow them approximately 20 meals a month in the two themed on-site restaurants. There is a heated pool, state-of-the art gym, yoga/art studio, salon, billiards/activity room, theater and sky lounge. At first glance, the rental prices may seem high, but when you consider everything provided and compare it against your current ala carte expenses, most will see it as a viable option for a comfortable senior lifestyle. If you are interested in seeing Allegro at Dadeland or want to know more about senior living in general, I am the area expert. It would be my pleasure to introduce you to the right executive level people at Allegro or elsewhere. 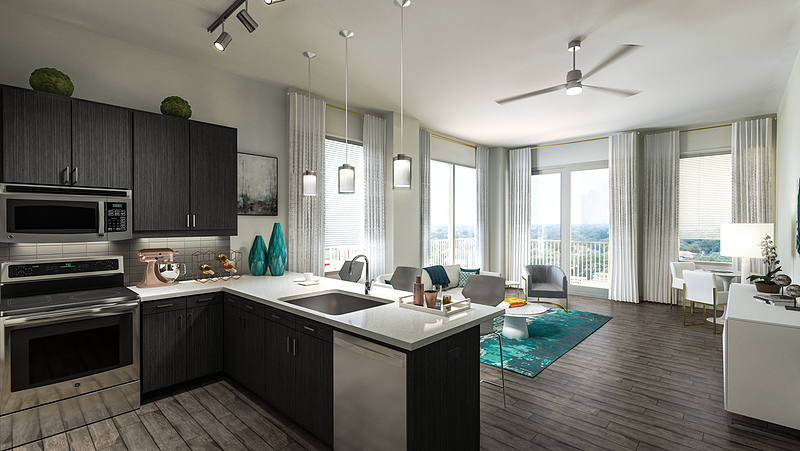 Of course, you can also see more about Allegro for yourself at allegroliving.com/dadeland or by calling 786-500-5500.